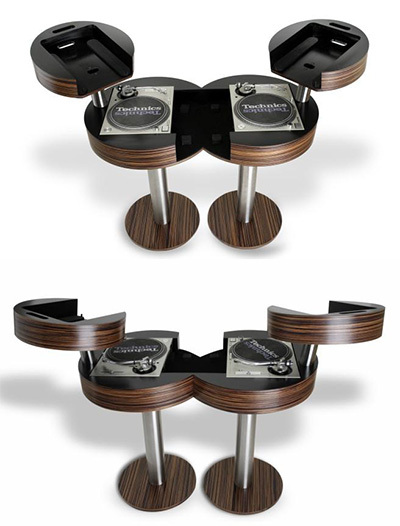 The 2.1 DJ Booth has been designed to hold 2 CDJ Pedestals with space for a small mixer and two turntables. The2.1 DJ Booth has been designed to hold 2 CDJ Pedestals with space for a small mixer and two turntables. The number of Pedestals is configurable; you can request to have 0, 1 or 2 pedestals.